I’ve had two frozen deep dish pie crusts in my freezer since a little before Thanksgiving. I purchased an extra pack just in case of a mishap while baking my pies for the holiday. Thankfully I didn’t need them. And then they sort of got buried in my freezer to make room for the frozen cookie dough I had stored in there for my Christmas baking. Once all the cookies had been baked though the crusts reemerged and I decided it was time to make something with them, something other than pie. And then I remembered I had photocopied a Mushroom & Sausage Quiche recipe from a cookbook I ultimately got rid of (I had one too many and needed to purge them). 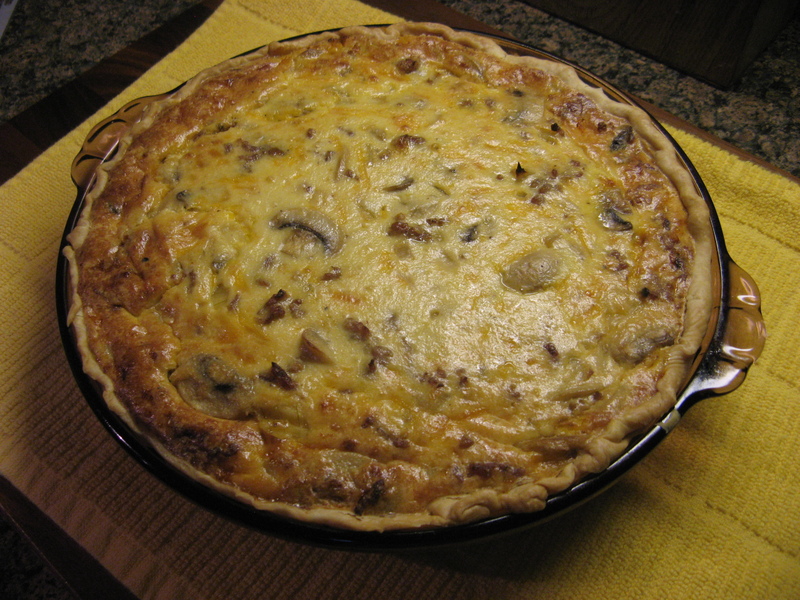 Which I then I decided to omit the sausage from and increase the amount of mushrooms and ended up with the Mushroom Quiche recipe below. Which I am happy to say will be made again and possibly with some baby spinach next time. Preheat the oven to 350 F. Place the pie crust on a baking a sheet. 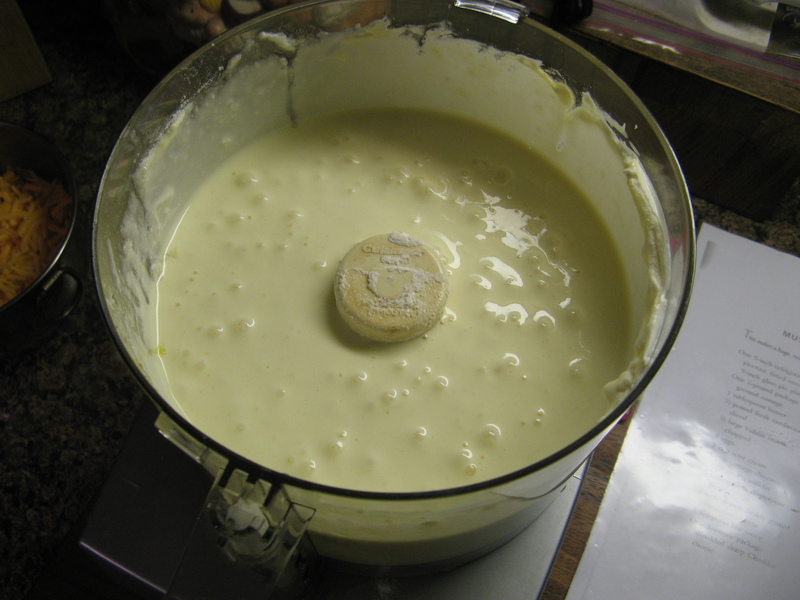 In a large skillet melt the butter over medium-high heat. Add the mushrooms and chopped onions and cook for 5 minutes, or until both are tender. Place the eggs, sour cream, cottage cheese, flour, parmesan cheese and hot sauce in a food processor (or blender) and process until smooth. Scraping the bowl as necessary. 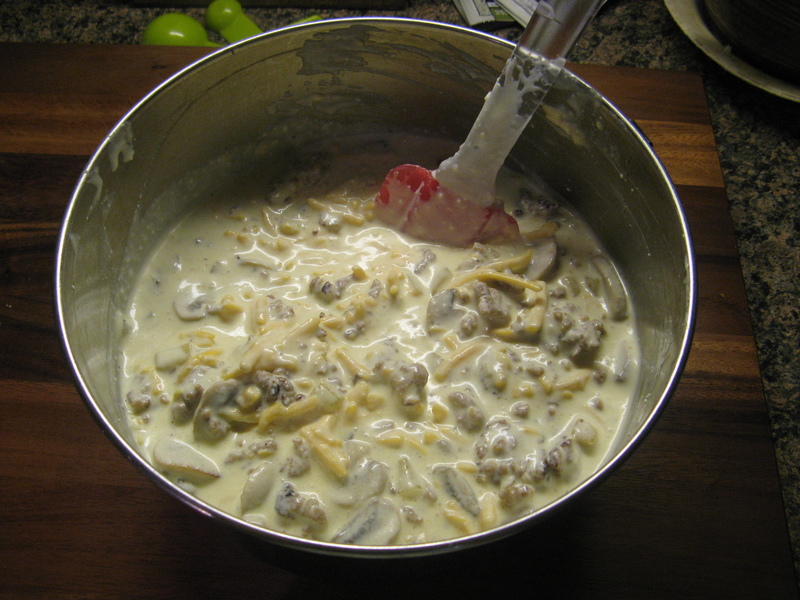 Transfer the mushrooms and onions to a large bowl and add in the egg mixture and cheddar cheese, stir to combine. Spoon the mixture into the pie crust (you may have some leftover). Cover the edges of the pie crust with strips of aluminum foil to prevent the crust from burning. 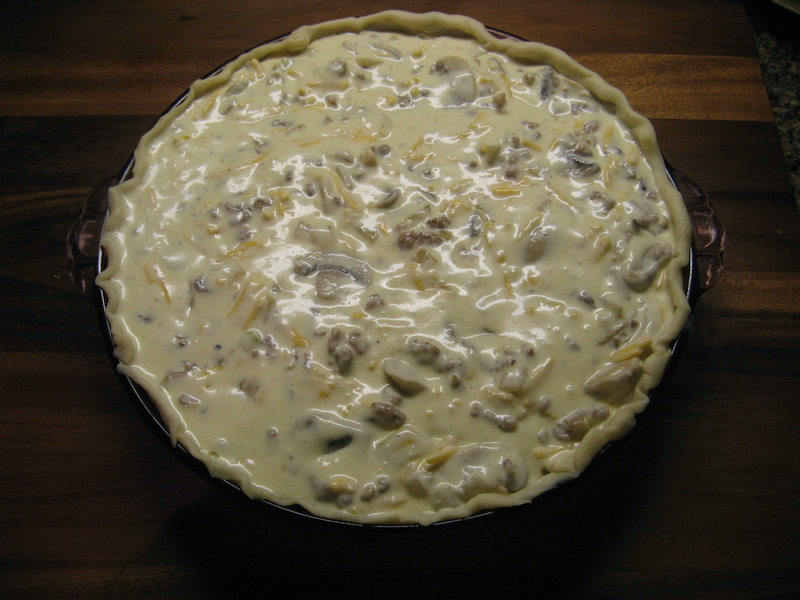 Bake in the preheated oven for 50 – 60 minutes, until the top is golden brown and the center is set. A toothpick or cake tester inserted in the middle should come out clean. Let cool for 10 minutes and enjoy! Usually I add ground sausage to my Thanksgiving stuffing, this year though I was on the fence as to whether or not to add it in. As you can guess from this post I opted not to add it, but then the question was what to do with it. I could have frozen it and used it another time but then I remembered a recipe I had for a quiche that called for sausage and mushrooms, another ingredient for the quiche that I had left over from said stuffing. 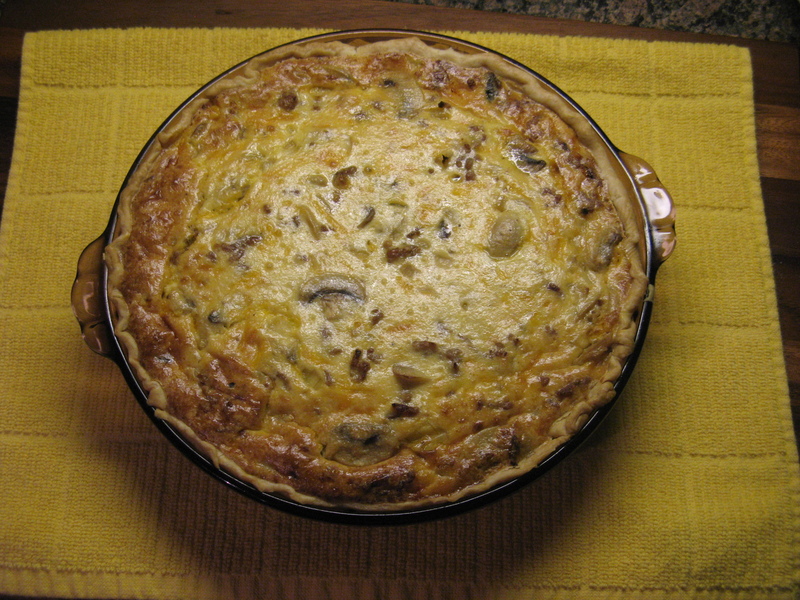 The recipe – Mushroom & Sausage Quiche – is one I came across in a cookbook I picked up years ago and ended up not using. While it was filled with many recipes most of them weren’t appealing to me except this one – which I ended up photocopying and then donating the book. I began by cooking the ground sausage. 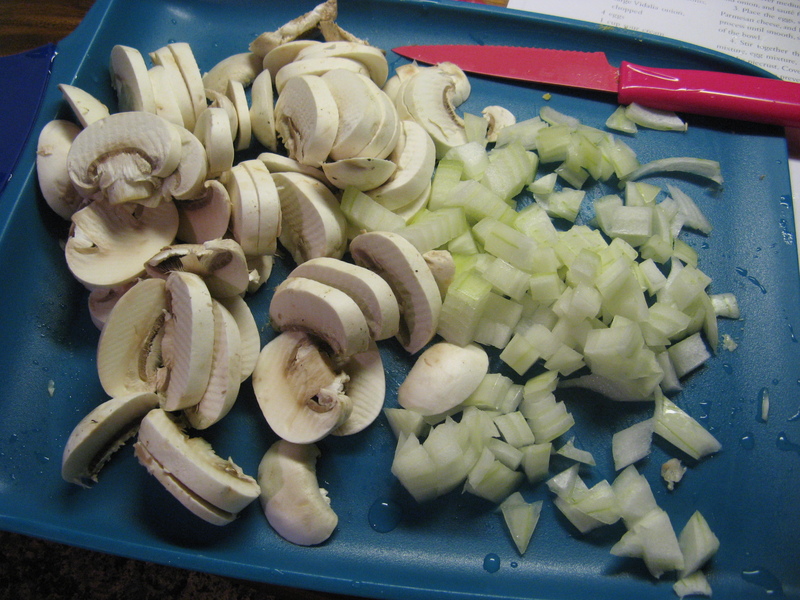 While the ground sausage was cooking I chopped up half a Vidalia onion and sliced half-a-pound of white mushrooms. After the sausage was cooked I transferred it to a bowl and wiped the skillet down and cooked the chopped onions and sliced mushrooms in a tablespoon of melted butter. Meanwhile in the bowl of my food processor I combined eggs, sour cream, cottage cheese (those of you not fond of cottage cheese don’t worry once the quiche is done you won’t even remember it’s there), flour and parmesan cheese and blended them until the mixture was smooth. I then stirred together the sausage, sautéed onions and mushrooms, the egg mixture and shredded sharp Cheddar cheese in a large bowl. And then spooned it into my pie dish which I fitted with a refrigerated piecrust. Following that I baked it in a 350 F preheated oven for about 50 minutes. After letting it cool for about 10 minutes I sliced into it and enjoyed the every bite of it! 1. Preheat the oven to 350 F. Crimp the edges of the crust. 2. 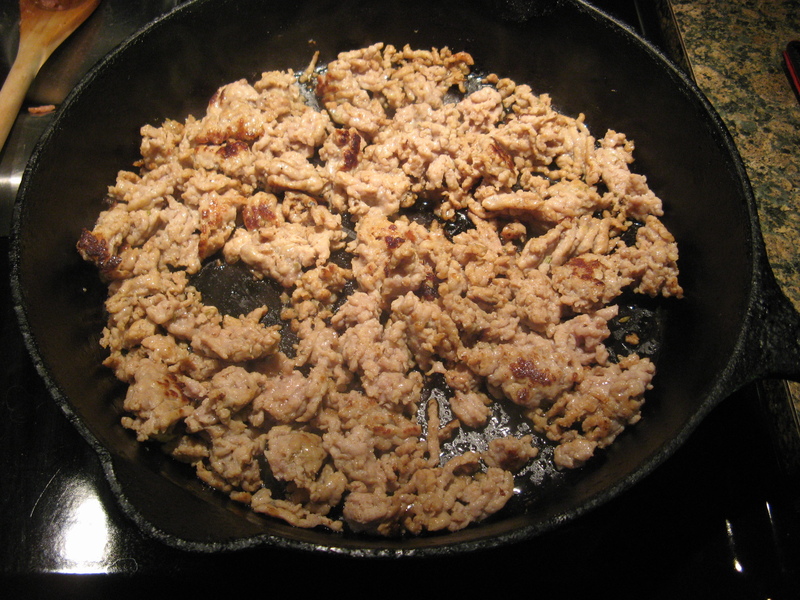 In a large skillet, cook and drain the sausage, and set aside. Wipe out the pan, and in the same pan, melt the butter over medium-high heat. 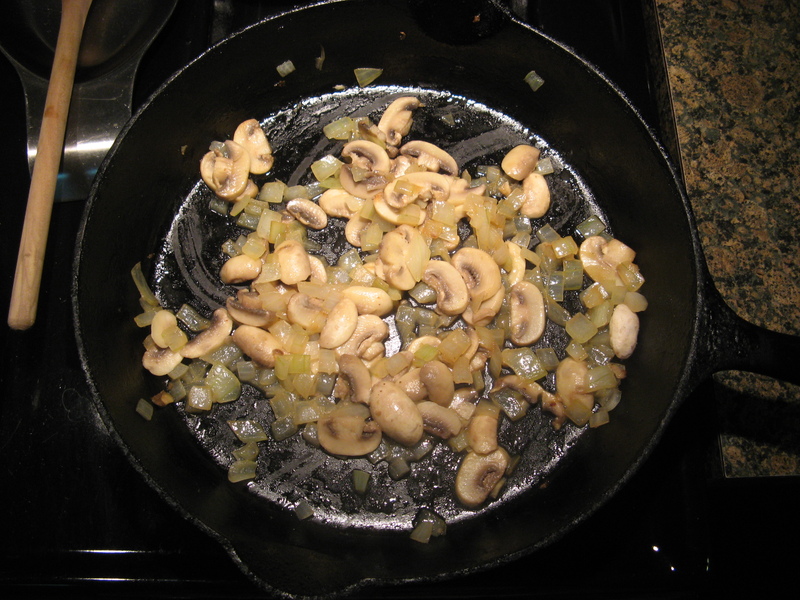 Add the mushrooms and onion, and sauté for 5 minutes, or until tender. 3. Place the eggs, sour cream, cottage cheese, flour, Parmesan cheese, and hot sauce in a food processor and process until smooth, stopping to scrape down the sides of the bowl. 4. 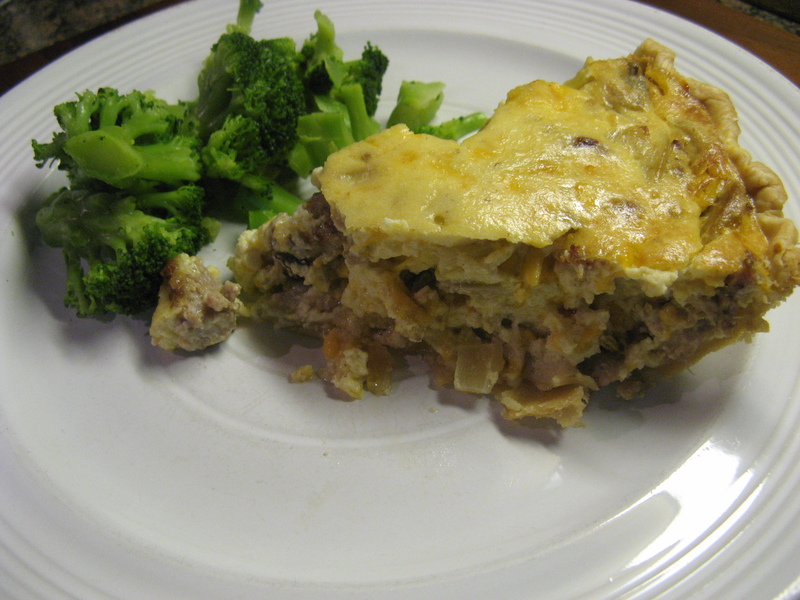 Stir together the crumbled sausage, mushroom mixture, egg mixture, and Cheddar cheese, and spoon into the piecrust. Cover the edges of the piecrust with aluminum foil to prevent the crust from burning. 5. Bake for 50 to 60 minutes, until golden brown and the center is set. Cool for 10 minutes and cut into 8 wedges.